In the course of healing a dysfunctional digestive system, you learn – and consequently, start to casually use, in the coarse of casual conversation – words like “glutamine” and “prebiotics” and, subsequently, “sunchokes”. You also start to chat nonchalantly with people about what potency of probiotics you’re on, and how many milligrams of magnesium you’re taking each day, the way I imagine hardened alcoholics backdoor-brag about their tequila tolerance. But that’s a story for another day. Today, the story is sunchokes. But what is the name of ugly root vegetables is a sunchoke? That’s the exact question I asked myself when my doctor (ok, nutritionist, but I feel like a Real Housewife of Beverly Hills when I admit to seeing a nutritionist) told me to eat, among other things, more sunchokes. 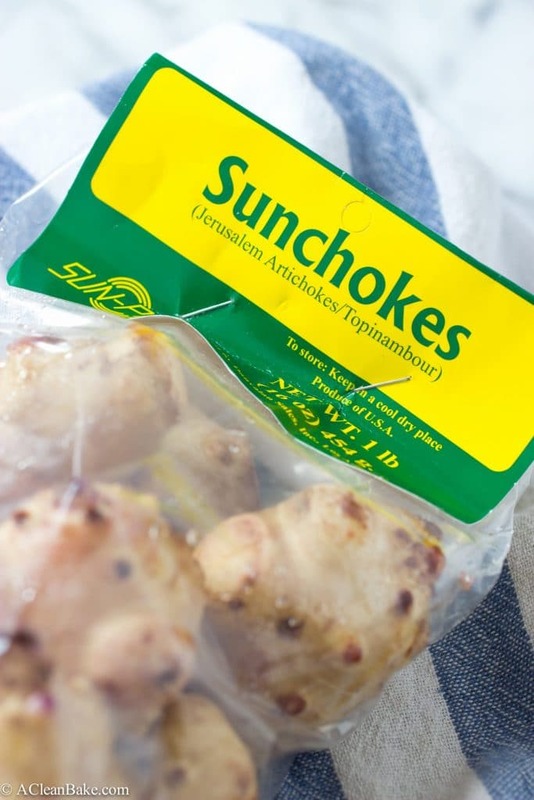 Sunchokes are a semi-marketing-y name for a Jerusalem Artichoke, which is also known as a Topinambour, which probably does absolutely nothing to ring any bells. These ugly little nubs that look maybe like a truffle/maybe like the root of an elm tree you’d trip over and sprain your ankle are actually a root vegetable that has wonderful prebiotic (meaning enables healthy gut bacteria to grow and flourish) properties when eaten. Contrary to its name, it’s neither Israeli, or an artichoke, but is actually native to North America and contains high levels of insoluble fiber (that’s the prebiotic part) as well as potassium, iron, niacin, thiamine, phosphorus and copper. But all that aside, they make a darn good dip too. 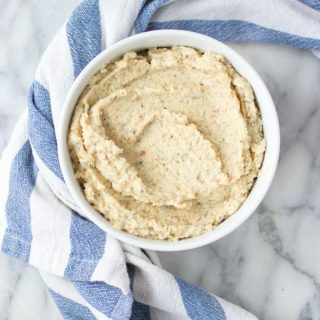 I really wanted to make a legume-free version of white bean dip, but it is hard to imagine these nubs – which, when uncooked, sort of look, taste and feel like a cross between a raw white potato (but not as starchy) and a radish – transforming into a soft, creamy dip. So, as usual, the answer is to roast them and then add cheese. 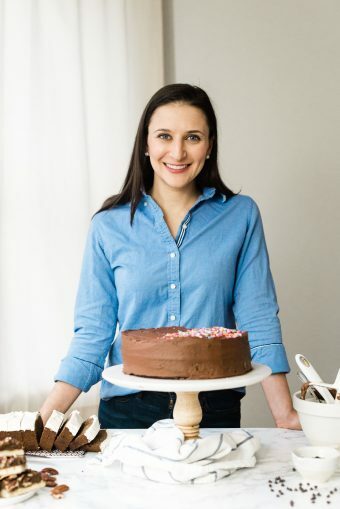 For this, you can use whatever cheese you have and can tolerate: I used goat cheese (which contains lactose, but is much more easily-digestible than cow’s milk cheese), but you can sub any soft cow, nut or soy cheese. 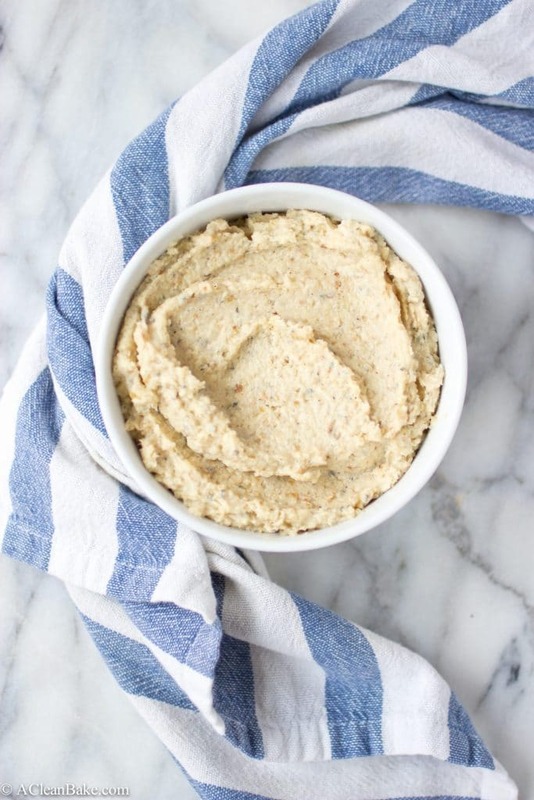 In fact, this cashew cream cheese (do not add scallions), or even store-bought vegan cream cheese would work really nicely. 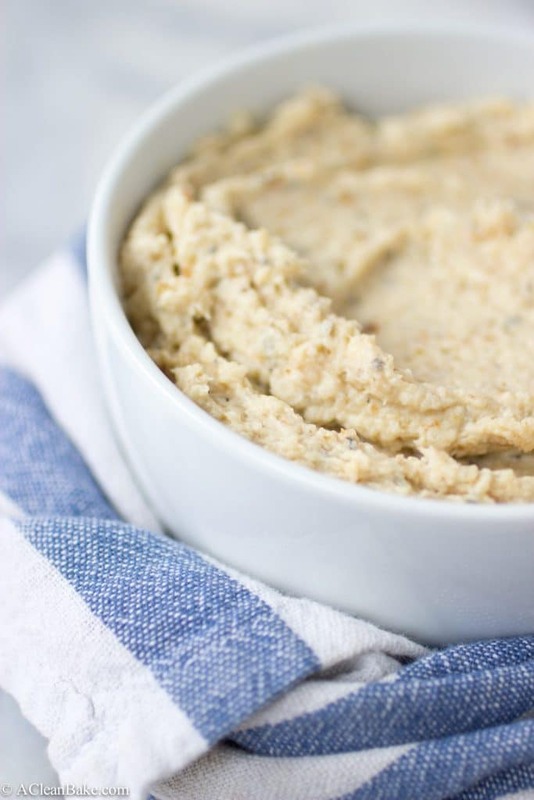 This sunchoke and sage dip comes together fairly quickly – a light roast, then a whirl in the blender, and serve – and keeps in the fridge for quite some time. 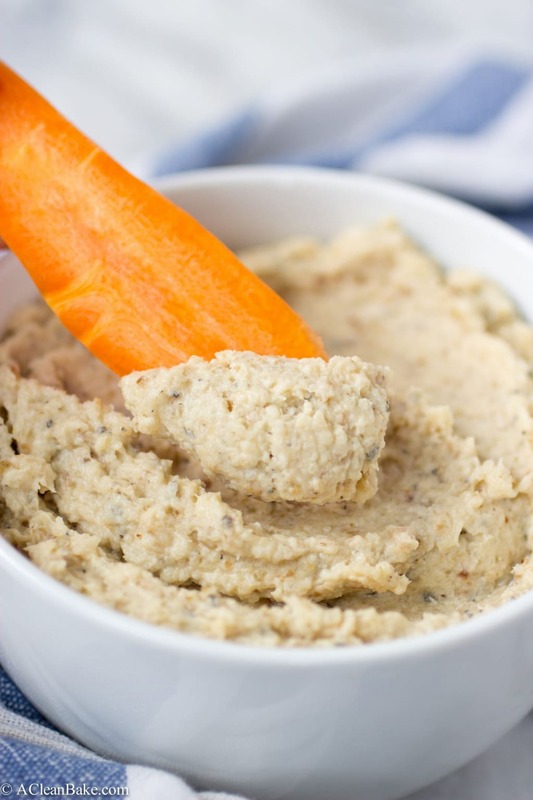 It’s hearty and filling, so makes a great snack or even light lunch with some crackers (or “carrot crackers”, aka carrots slices on a wide diagonal for optimal scooping performance) or crudites. 1/2 cup creamy cheese of choice - I used goat cheese; you can also use cashew cheese see note, soy cream cheese, or cow's milk cheese if you prefer. Preheat the oven to 400F. Cover a cookie sheet with parchment, a nonstick pad, or a lightly greased piece of tinfoil. Set aside. In a large bowl, toss the chopped sunchokes with the oil to coat. Roast for 25 minutes, or until tender. Let the sunchokes cool slightly before transferring them to a food processor. Pulse a few times to chop them into smaller pieces. Add the cheese, lemon juice, water, salt, pepper and sage leaves and process until smooth. For a basic nut cheese recipe, try , but leave out the scallions. I really love sunchokes and have never seen them used like this! Now I’ll know what to do with them the next time I spot them at the store! Great! I am always looking for ways to use them (I have another bag languishing in my fridge), so if you have more suggestions, I’m all ears! I never know what to do with sunchokes and haven’t taken the time to find out so thank you for your education via your real housewife doctor. 😀 Wowo they are powerhouses of nutrition! I’m looking forward to learning more! I know these will be one of the first things that show up in my CSA, so I’ll be pinning this for later. Thank you, Nora! I’m SO jealous that you get sunchokes in your CSA!! I hope you get to try this dip, Traci! Thanks, Christina! It’s great on veggies, and also as a spread on a sandwich, etc! I LOVE sunchokes! I’m loving the flavours here – sage is such a delicious addition! Gorgeous photographs too. Hope you have a lovely weekend! Thanks, Alessandra! Same to you! This looks great! I have never made sunchokes, and this looks like a perfect place to start. Hmmmm, I’ve never heard of sunchokes. Sounds interesting dear..I am going to find some!! The dip looks very delicious! They are also called Jerusalem Artichokes, but “sunchokes” is easier to say 🙂 Hope you can find them! Oh I love sunchokes! I’ve only made them by roasting them – but transforming them into a dip sounds fantastic! Great idea! And ps – on a totally un-related note since I’m not sure that you watch RHOBH (just going by your snippet up there), how un-eventful was last week’s finale? I’m hoping the reunion will be a little juicier. It’s the one guilty pleasure that I watch! Next time, I will try just stopping at the roasting. I’ll bet they’d make an awesome side dish. I haven’t watched RHOBH in years, but I’m glad I didn’t miss much on the finale! Holy yum, Nora! This dip looks amazing (and super healthy). 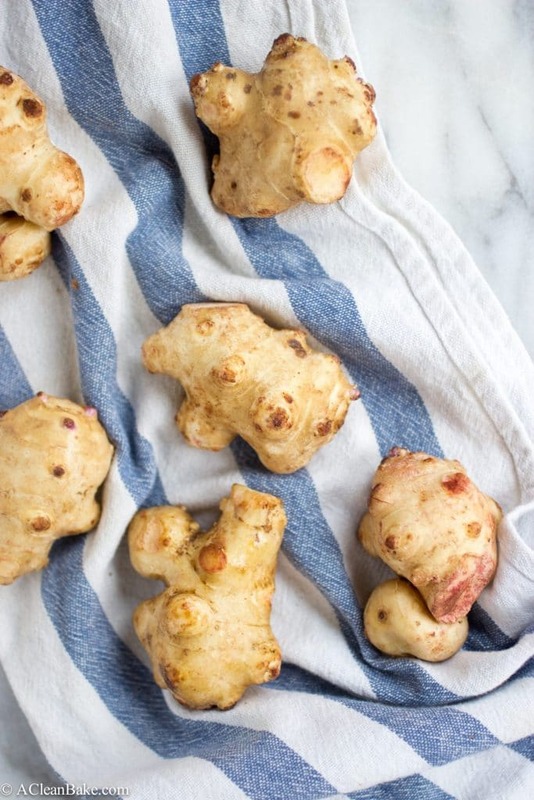 I have never cooked with sunchokes before but I really want to try them out! what a creative way to use sunchokes! and totally with you on the carrot crackers, girl. YES! Those carrot crackers are the best!